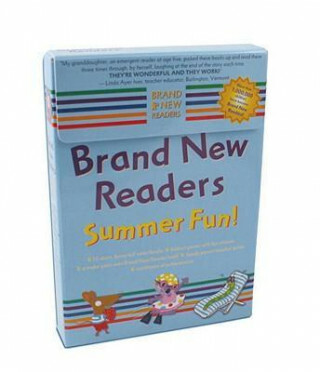 Brand New Readers Summer Fun! Toto nie je džungľa! This is not a jungle! Colour Me: Who's in the Water? Více informací o knize Brand New Readers Summer Fun! Featuring Otter, Termite, Work, and Piggy, this enticing boxed set contains: 10 short, funny full-color books; a foldout poster with full-color stickers for tracking books as they're read; a Brand New Readers certificate of achievement; and more. Consumable. Plný název: Brand New Readers Summer Fun!